Started to read up on it a bit more, looks like a dos/unix sort of system, so I am sure that with some tinkering I could get somewhere at least lol. Thing is, I have been overclocking since the pentium 1 era (when you could still use jumpers on the MB to change the FSB lol). It's just a completely different ballgame with modding biosses in ways I've never done before. It seems I have a lot to learn when it comes to these type of bios/efi shell changes, but it's a nice challenge for a change! I'm kind of lost with what The Stilt is saying about locking those registers, I get what it does, but I don't understand how/where to actually do it. So my guess is that RU is a shell where that is supposed to be changed in, but honestly I have no clue what to do with the RU files in the first place (although I guess that's what you load before Windows starts). Thanks for the help and reply's guys, much appreciated! @C-Power/Tw0tch Some BIOS already incorporate the UEFI shell as part of the BIOS but if we don't have that then we can download one and put it on a FAT32 USB flash drive or other suitable boot medium and boot that. Here's a link to a shell (shell.efi). Should be okay for what we want. 1. Rename shell.efi to Shellx64.EFI and place on root directory of a FAT32 flash drive. 2. Rename shell.efi to BOOTx64.EFI then create a root folder named EFI and sub folder of that named BOOT and copy the BOOTx64.EFI to there. Use the BIOS boot utility to boot the FAT32 flash drive in UEFI mode. You can type "help" for a list of commands. One of the most useful options is -b which will pause each time the screen is full, "help -b"
While your exploring that I'll put something together. Thanks for the screen shots. Getting rid of the microcode and setting all cores to 30 should have been enough really. We are not overclocking so much other than maybe a little bclk so that extra core and cache voltage should not be necessary. You really want the opposite, less voltage. Set CPU settings back to default, with the microcode update removed from the BIOS. All core at 30 should be okay if enacted upon, maybe try setting each core to 30 if that option is available in the BIOS. Let Windows load the microcode update as usual or use the vmware option mentioned earlier. Remember that you cannot make any changes to the CPU settings (MSRs, power management and especially functions which are used through the "OC Mailbox"), after the CPU has been initialized. Doing so will lock the CPU either to default or to LFM mode (happens with µCodes with "LFM Bug" present). Remove the microcode from the bios and set the desired settings. Forget about running ThrottleStop, let alone trying to change any of the settings with it. Use CPU-Z & HWInfo for monitoring, they don't tamper with any of the settings. If it still doesn't work, also try leaving as much of the bios settings to default for starters. ASRock might be changing some of the settings after the CPU has been initialized, which would cause the CPU to lock in default / LFM mode. Thanks guys! Will be going at it today again and see if I can get somewhere further with it hehe. 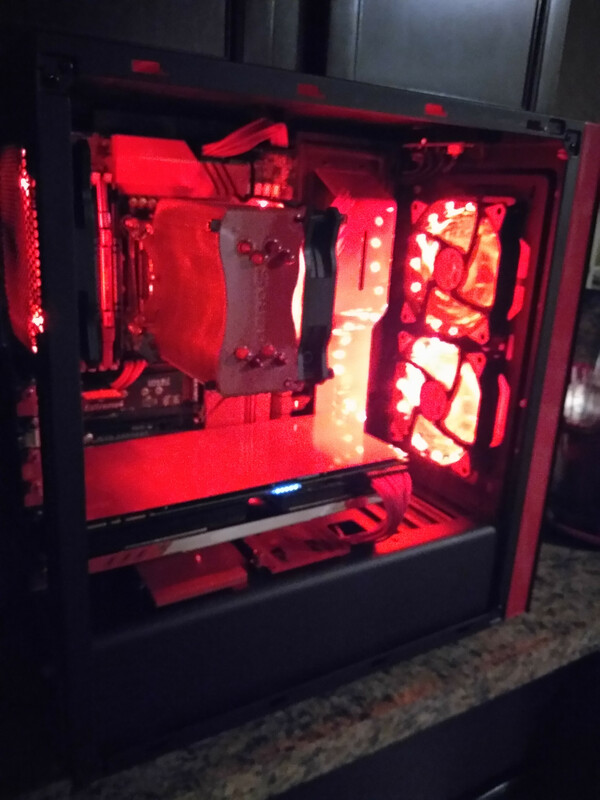 The Stilt, Thanks for the tips, I figured as much with bios settings when the CPU kept doing the opposite of what I thought it would do when changing any voltage/EIST/C-states settings lol. Just read this thread and would like to say thanks!!! I can't wait to try this with my 2683. One question, do you remove the microcode from the BIOS with the VMWare tool? Or is that just for injecting microcodes to Windows? 4. Got into RU.efi, have had a look around, but I have no clue where I can find those registers @The Stilt is talking about, I did find the MSR Registers, but no idea what aex or edx mean (or how and where to find and change them, or what bit 20:20 means, for that matter). Having all bios settings at default seems to just have it run at stock turbo bins, having it set to "All Core 30x" seems to do nothing, and setting each multi to 30x per core also doesn't change the CPU's behaviour. If anyone would be so kind to give me some quick pointers of where/what to look for in Ru.efi - that would be highly appreciated. Thank you for posting on how to remove the microcode. The issue you are having is with Windows 10, I got it to work on window 7. But am having trouble trying to get it to stick on 10. I'm on a ASRock X99 Extreme6/3.1 - More or less the same board as Dufus is using (the Taichi). Dusting of my Windows 7, going to make a dual boot, just to see if it would work on that. Then maybe Win10 is loading something besides the mc genuine intel file? Ok Windows 7 doesn't change anything (but god do I miss it lol). No microcode, or 0x27 both no go, maximum multiplier still is at 25x and also it will just downlock the multi to 12x (even when set to all core or per core 30x in bios), so it's not the OS being the issue..
Might give it a go though.... although I currently have it listed on eBay hmm. Meh, going to see if that board is going to make a difference, there is also a ton of Biosses for it so a lot to play around with I guess. Unlisted from eBay and time for some more playing around! Doesn't work either, however I have seen difference in CPU behaviour on Win7 vs Win10. 7 stays at 20x multi, and goes properly to 30x on 2 cores, and never lower then 20, but Win10 goes down to 12x multi (all settings equal in bios). Win7 also has 100points higher single core CPU bench then Win10 for some reason (all things being equal again) 1420 vs 1320ish, boggles my mind. I could not get Windows 10 to play nice and for some reason beyond me I cannot get into my account. Everytime I load it, it makes a temporary account. Don't know if it was becuase of this or something else (fresh install though). No change. Will investigate later. Windows 7 played a lot nicer but it was not stable. It hard locks often. Had to roll back to BIOS 2.1 (current is 3.6) and remove the microcodes. I could not use any 3.X BIOS becuase the option to change the multiplier and do any changes were missing. Without any microcode I'm windows installed the CPU performed worse than with microcodes. But after installing 27 with VMWare it performed well. But I think I had issues with the power limits though. It would start Cinebench with all cores loaded at 2.8 and slowly drop to 2.5. This gave me a score of almost 150 higher than normal. They cores never stuck to the max multi of a single core of 3.0 but an improvement overall. But the hardlocks exist. It can take 20mins or immediately at the splash screen. 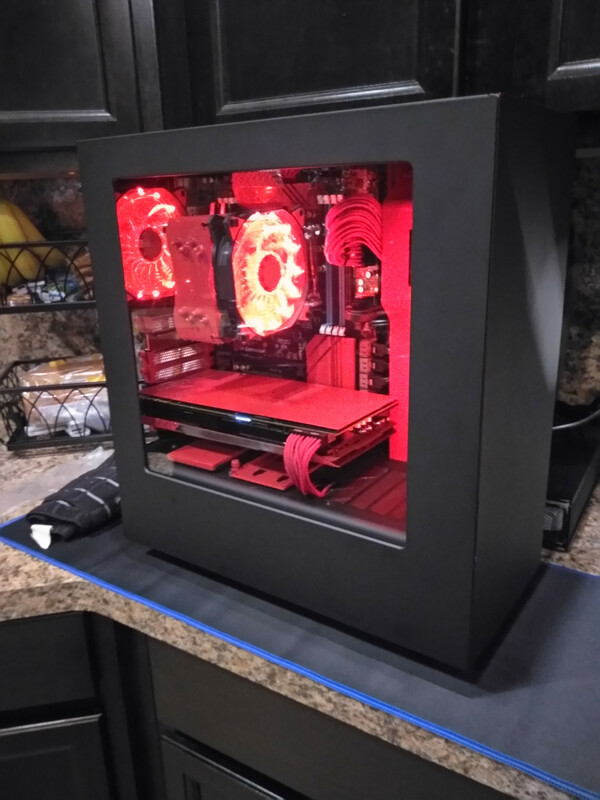 If it takes a Tiachi to work then I will pass, I spent a lot of time working in my case and components painting them to match. Is anybody else having the hardlocks? I have linked the file 'V3.EFI' (V3.zip 633bytes) which can be copied to a FAT32 USB flash drive. Set CPU BIOS values back to default for now with 100MHz BCLK. For this example I'm using a FAT32 formatted Sandisk USB flash drive with root folder 'EFI', sub folder 'Boot' containing shell.efi renamed as BOOTx64.EFI. Using the BIOS boot manager (F11 during BIOS boot on Asrock) we select the flash drive with 'UEFI:' prefix. Here we press 'ESC' after shell is loaded to stop the 'startup.nsh' from running. 'startup.nsh' is similar to the old DOS '.BAT' file, just a way of automating things on shell startup. Our USB flash has been mounted as 'FS0:' as shown in the mapping table. Being the only USB device makes it an easy giveaway. So now we can test 'V3.EFI' which was copied earlier to the USB flash drive root by typing 'load fs0:\V3.EFI'. Hint, the TAB key can be used for auto-completion so sometimes we can save on a lot of typing. One should see 'V3 - All Turbo Set' if successful, something else if not. In this instance I've finished of with the 'exit' command which takes us back to the BIOS boot manager so we can select the 'Windows OS'. Alternatively we could have directly run Windows from the shell. For this system the Windows system partition is FS1: so being GPT typing "FS1:\EFI\Microsoft\Boot\BOOTMGFW.EFI" would do the trick. If we are happy with the driver and want to keep it we can get it to automatically load by placing it on the EFI system drive.In this instance I have copied V3.EFI from the USB flash drive 'FS0:' to the EFI system boot folder on 'FS1:' 'cp fs0:\V3.EFI fs1:\EFI\Boot'. Now using the shell boot configuration command we can add it to be executed before any OS with shell command 'bcfg driver add 0 fs1:\EFI\V3.EFI "V3 Full Turbo"'. After that type 'reset' to restart the PC as the EFI driver has not executed as yet. To remove V3.EFI from the BIOS driver list, list the drivers to get its sequence number then remove with the bcfg remove command 'rm'. In this case 'bcfg driver rm 0'. The other driver CrScreenshotDxe.efi shown is an awesome utility from a guy who sometimes goes by the name of CodeRush. It was used to take these shell screen shots and can also be used for BIOS setup screen shots. Don't forget to have Windows or the vmware utility update the microcode, version 0x38 works well for me. @GTZ maybe some OC setting doesn't play well or seeing a bug with older microcode? When I use VMWare to install the micro codes and test them, l just install the new one. Should I delete the older one (and how if I need to) or is it safe just installing over the old one? Is there another method for installing microcodes to the OS or possibly before the OS loads? What method do you use? I might try your shell command you wrote for C-Power since we have similar boards. If successful I will be a happy camper. YOU ABSOLUTE LEGEND! 1000x Thank you sir! Holy doley, over the moon, that driver works like a charm! I can't get it to load automatically, every drive I try in the shell, states "fs1:\EFI\Boot doesn't exist" Tried FS1 to 6, but no go. Not entirely sure why, possibly because I have dual boot witn Win7 now? Seems to be working on windows 10 with a Asrock X99M Extreme4 and a Xeon E5-2683v3. I did the following….. Some BIOS already incorporate the UEFI shell as part of the BIOS but if we don't have that then we can download one and put it on a FAT32 USB flash drive or other suitable boot medium and boot that. If we are happy with the driver and want to keep it we can get it to automatically load by placing it on the EFI system drive.In this instance I have copied V3.EFI from the USB flash drive 'FS0:' to the EFI system boot folder on 'FS1:' 'cp fs0:\V3.EFI fs1:\EFI\Boot'. Now using the shell boot configuration command we can add it to be executed before any OS with shell command 'bcfg driver add 0 fs1:\EFI\BOOT\V3.EFI "V3 Full Turbo"'. After that type 'reset' to restart the PC as the EFI driver has not executed as yet. Rename the desired version to microcode.dat, and proceed as instructed by VMWare. Thanks Dufus and The Stilt. I had this a couple of times and had to use MMtool to remove the mirocodes, then just open the bios with UBU and just immediately press 0/Exit and save that way. Yeah, UBU's bios support is a bit spotty but read the following before going through with it. The BIOSes of the latest ASRock mainboards do not have a capsule header anymore. That means, that the "Security Flash Check" is located somewhere else. Our UBU and BIOS Guru SoniX has written a short guide about how to circumvent this special ASRock BIOS integrity protection. >Here< is the link to his guide. Meanwhile our Forum member lordkag found out, that the capsule header of the latest ASRock mainboard BIOSes is still present, but hidden. >Here< is his guide about how to circumvent the "Secure Flash check fail!" message while trying to flash a modded AMI Aptio V ASRock BIOS. Big thanks to him and Pacman for their work! All UBU versions from v1.50 up are able to remove the hidden capsule header from ASRock AMI AptioV BIOSes automaticly and to make the modded BIOS flashable without getting the "Secure Flash check fail!" message. Were both your windows installs in uefi mode? @GTZ At this time there are not any known old microcode updates with the full turbo all cores bug still intact. The earliest one I've tried is version 0x19 and that's a no go so would need to be earlier than that. For now it's a case of appyling the turbo settings without an update present then applying the microcode update. Usually it's best to apply the microcode update early in the BIOS initialization but we don't have that luxury unless willing to rewrite a lot of the BIOS which is a lot of work. Microcode updates can be written over no problem, some versions even allow rolling back. My first method to apply microcode update was just the OS, both Windows and Linux provide means to do this natively. Windows may require a KB update and Linux the microcode.dat file which Intel updates from time to time for this reason. Second method was to incorporate the microcode update into the EFI file which works similarly to the V3.EFI file and to date have started incorporating as BIOS firmware. The advantage of BIOS firmware is that settings remain after Sleep mode. With the EFI file approach settings are changed after BIOS post so do not stick with Sleep mode. The file method while being limited has the advantage of being simpler to apply and more universal. @C-Power/Tw0tch If you are using MBR partitioning then you will not have a true EFI\BOOT directory. You could perhaps try and make one. I don't know if using an NTFS file system would be ideal but perhaps one could make a small additional FAT32 partition on one of the drives. BTW your CPUZ bench seems a lot lower than it should be? @someEEguy Thanks for the confirmation. Technically it should work for all OS's and boards, I've personally run it with W7 and Linux Fedora 24. Some of those guys on win-raid may be able to help with a proper BIOS mod. @Ionstream That would be interesting. I only have the Asrock X99 and a single 2683v3 to test with so seeing other results would be great. The V3.EFI driver basically sets all turbo's to max core ratio, cache min/max ratio's to max cache ratio and core and cache voltage with -20mV offset then locks the OC'ing register so the settings other than cache min/max don't get affected by other software. Those settings seem to work well and help a little with the AVX2 offset which appears dependent on core and cache voltage, cache ratio and number of active cores rather than power dependent. Would be nice to get rid of that and reduce the AVX voltage if possible. I got an 2686v3 , let me know how it goes if you happen to get one , i doubt you could get 3.5ghz all core on 120W power but maybe 3ghz or a little higher would work , i currently have a supermicro motherboard and i think i can't do much about custom modules for efi bios, considering asrock taichi or extreme4 if someone confirms it works on it. this is awesome thread ! I do have a Xeon 2660 v4 (Engineering Sample) ... am running linux (though have windows installed just in case) ... did read via readmsr on linux registers for turbo-bins (how many cores can turbo to which frequency) ... and it's exactly what i observer. It's 14 core processor ... 1-2 cores - 3.1GHz, 3 2.9 GHz,4 2.8GHz,5 2.7GHz, 6 2.6GHz and more then 6 2.5 GHz (its little bit different then regular 2660 V4 i guess cause it is ES). From thermal side I am sure CPU could cores at higher frequency (more then 2.5) ... so am hopeful you have some ideas. Anyhow, motherboard is Supermicro X10SRM-F and do you think there is a way that microcode could be updated either in linux when it boots up or even if possible with BIOS (change ?) ?Or in Windows ? Thanks for your opinion and advice ! Still trying to find my feet. I'm on a C612 chipset, which happens to be running on AMI Aptio V, so no easy UBU edit for me. Also, because my BIOS lacks MCE, I have to resort to MSR programming, which I have absolutely no knowledge about. Could any kind soul explain what's going on in this picture?